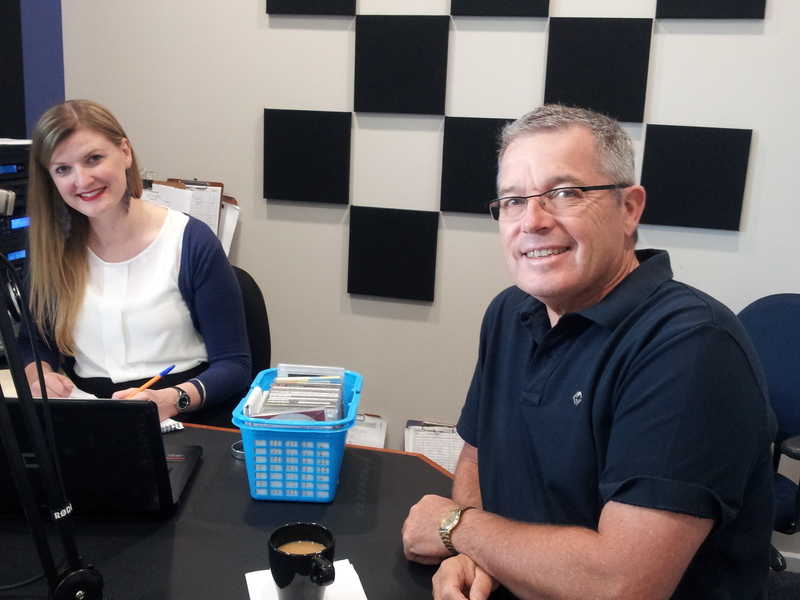 Well known identity Glen Brown chatted with Rebekah on the morning program on 5 THE FM, on his last day as Director of Development Services with Wattle Range Council. Glen said he was looking forward to his early retirement and had plans to travel, spend time with family and continue being involved in the community he loves. Originally from Port Pirie, he said that both communities were similar except for the weather which he came to enjoy once he got used to the cooler climate. He worked in Insurance in Port Pirie, and at the smelters in administration as secretary to the staff housing scheme. He enjoyed this work because of the satisfaction of seeing benefits with-in the community. Glen worked with the South East Regional Health Service for 6 years in housing, working with a mix of clients including some who had social and mental health issues. As Community Development Officer he was involved in teaching life skills and job seeking skills. Each tenant was different with different needs but again he said he enjoyed the community aspects of his work. He began working in Health in 1988 and saw many changes take place over the years. The Millicent Hospital was managed by a Board with funding from the government at that time. Decisions were made by the Board; money was spent with in the criteria of the funding but was also their decision, and this gave them the opportunity to determine where the needs were. Millicent Hospital averaged 200 births a year then. The Board determined the needs of the community and tried to provide the services. The Health Advisory Council (HAC) was developed in place of a Board and its role is to advise the Minister fro Health of the needs at the hospital. “Many of the changes that have occurred in Health with in this community have not been beneficial and we can only wonder where this leaves us. Our only hope is an economic turn around,” he said. Glen served as Councillor on the Wattle Range Council for two year where CEO Frank Brennan saw his passion for community and offered him a job with Council. Glen has been a member of Millicent Lions for 20 years, serving as President, Secretary and Treasurer and said he will be able to spend more time with Lions in his retirement, including a catering trip to the north of SA with Lions later this year, as well as a trip to Tasmania, and a visit to see his son in Port Headland. Categories: Community Groups, Events, Health, Local Government, Wattle Range | Tags: council, Glen Brown, health, retiring | Permalink. Glenn Brown, community champion and gentleman.